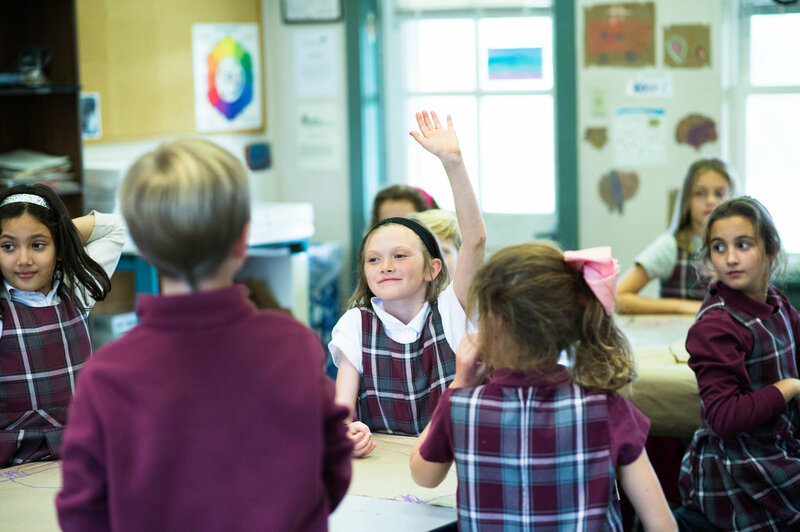 The Montgomery School curriculum is designed to inspire and to challenge students at appropriate developmental stages. Our faculty work diligently to maintain a curriculum that is relevant to the needs of today’s students, while looking to the future with revisions relating to 21st century pedagogy. Students today, more than any other time in history, benefit from the flexibility of the Montgomery School curriculum. Faculty members are not committed to "teaching for the test," but rather have the ability to teach a relevant curriculum, and can adapt to global changes that provide our students a deeper insight into the world around them. 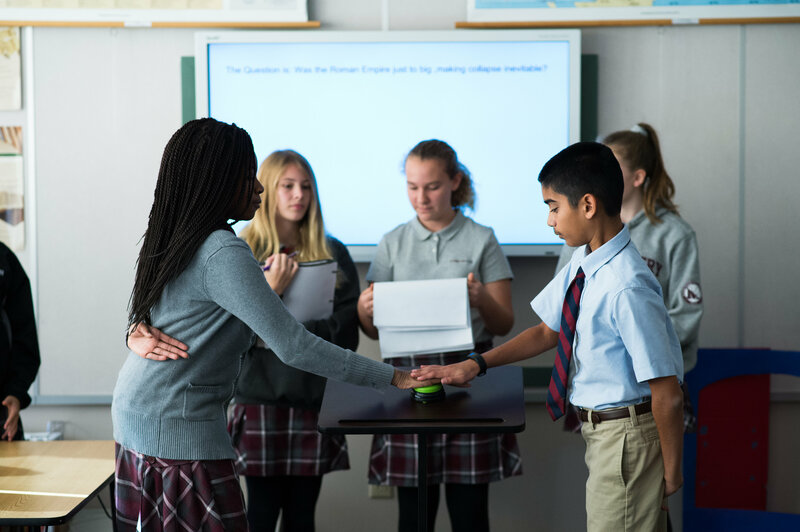 As a result, Montgomery School students gain a broader understanding of global issues, while making meaningful connections to the information that they are exploring. The result is a student who is a well-informed, critical thinker and an active problem solver. Excellence and achievement are never pursued at the expense of development of the "Whole Child" at Montgomery School, where Mind, Body, and Character are given equal weight. Montgomery School looks beyond the limited quest for academic excellence, by focusing on the child’s lifetime of achievement and learning. Though the academic program is challenging, students are also challenged to develop healthy habits, and to pursue qualities of integrity, respect, responsibility and a passion for service to others. 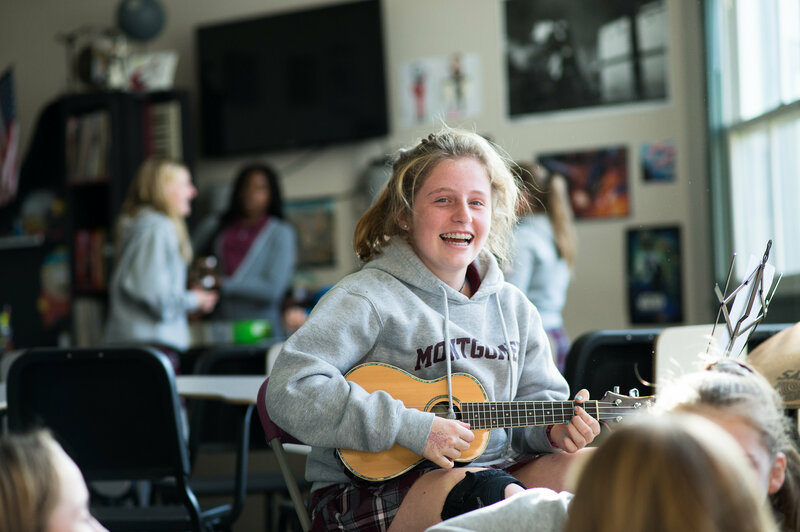 The school’s motto: Veritas, Pietas, Caritas, (Truth, Loyalty, Compassion), is a foundation for development of character at Montgomery School. 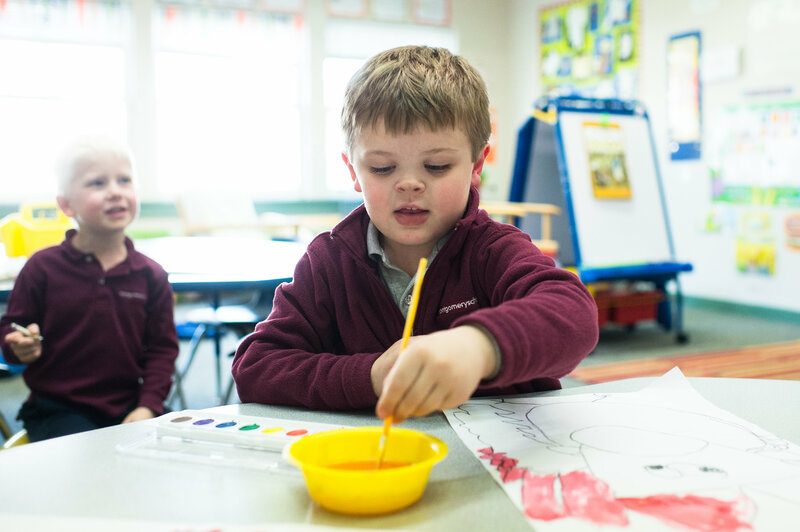 The school’s values are enhanced in every aspect of school life, including a twice-weekly non-sectarian Chapel program, and family style dining at every lunch.